I think it was C.S Lewis that said, ‘you can never get a cup of tea large enough or a book long enough to suit me’…and I could not agree more. Give me a good book, a quiet corner and a cosy-covered teapot and I’m in heaven. I studied English Literature at university, and happily read myself into oblivion on a daily basis. A practice I sadly cannot sustain working a 9-5 job. I do my best to read as much as I can, be that in printed form, or (more recently now) on a screen. Like most people I wager, I do most of my reading when on holiday. So now, with the convenient and ‘light-packing’ wonder that is the e-reader, my Kindle gets loaded with more books that I buy paperbacks. A sad truth, but one I’m not guilty about, because let’s face it – both mediums have their pros and cons. Here are just a few of the things I like to lose myself in nowadays. I warn you, it’s a mixed bag! This collection of poems sits on my bed side table, and has done since I received it for my birthday. I’ve been a massive fan of Carol Ann Duffy long before she became the Poet Laureate and continue to return to her poetry time and time again. I was captivated by her collection of ‘Love Poems’ – ‘Warming her pearls‘ is an obvious favourite, but it’s the unconventional ‘Valentine‘ that resonates the most with me. Something about Carol Ann Duffy’s poetry just connects with so many people, as she describes familiar, every day occurrences in new, enlightening ways! ‘The Bees’ collection is no different and marks the first collection under her well-deserved title of Poet Laureate. In particular you’ll be left thinking on ‘Last post‘ for hours if not days to come. 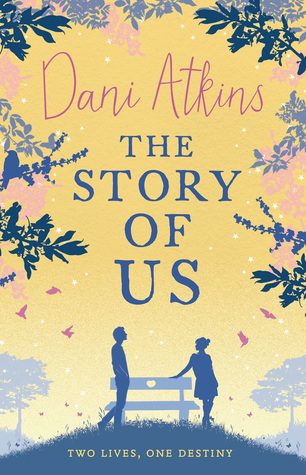 This was the second novel by Dani Atkins that I picked up, having been so page-turningly gripped by her first novel ‘Fractured’, I was intrigued to know if it was a fluke, or if I’d found another ‘favourite author’ to add to my list. Turns out, Dani Atkins has a way of writing that keeps me reading until 2am on a weeknight! Her characters and the relationships she weaves are so emotive and relatable. I never read so quickly and so attentively as when I’m reading her books. A modern woman’s novel from a time gone by. I rest my case. Not strictly a book, but a publication I always turn to when in need of a little break from it all. There’s something incredibly soothing about any and all of Kinfolk’s articles and essays. Maybe it’s the beautiful shot photography, maybe it’s the prose-like writing style. Whatever it is, a lot of time and effort obviously goes into creating each beautifully crafted Kinfolk edition. So I’m going to spend a lot of time and effort soaking it all in. Page by page. If you’re stuck for things to read, I always find the Good Reads site really useful for finding my next page-turner!